I'm feeling bourbon inspired as of late. Mostly because the Kentucky Derby takes place this week and mint juleps are all the rage (for me at least). In fact, when people mention any horse race (doesn't even have to be the Kentucky Derby), the mint julep is the first image that pops into my head. This year, however, I wanted to create a dessert that was more bourbon focused and less of a "julep-esque" creation. Don't get me wrong, I think a minty, bourbon-kissed cupcake is the bees knees. 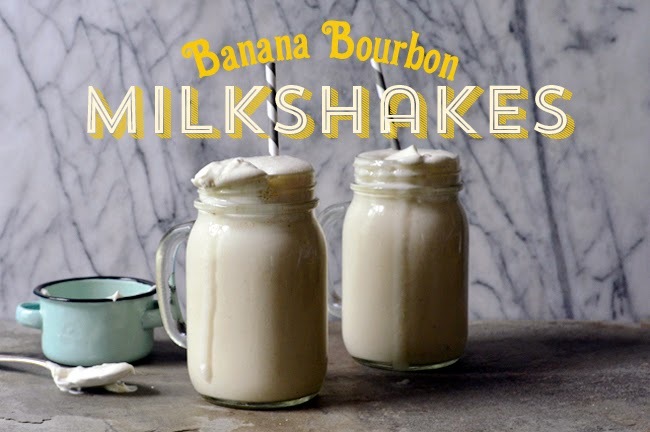 But for this Derby, I've got something better….a banana bourbon vanilla milkshake! The idea of a bourbon vanilla milkshake is nothing new. Pretty much every bar displays a boozy shake in some form or another. But the addition of bananas to said shake is so incredibly delicious, you may never make a shake without bananas again. In an effort to keep our kids from crazy sugar highs, my sister has been pushing the whole "Let's make ice cream with bananas" thing for a while now. From a health perspective, I get it. But as an ice cream purist I've been quite reluctant to swap that rich milk and cream for bananas. 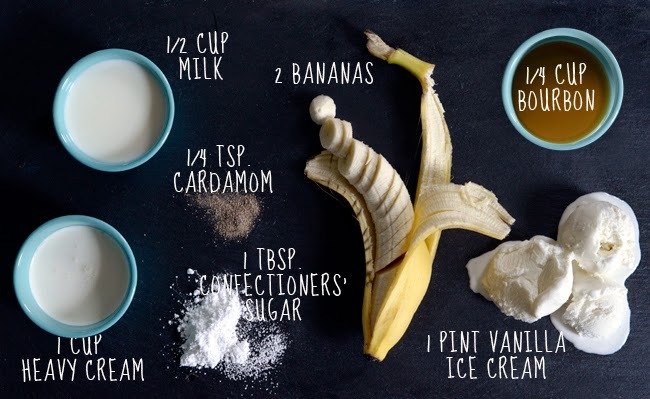 In this recipe, I've compromised and combined both bananas AND traditional ice cream. Together, they make for one heck of a milkshake. Top it with cardamom scented whipped cream and you've got a go-to dessert that will never lose its appeal. 1. Combine the heavy cream, cardamom and confectioners' sugar in the blender. Cover and blend on high for about 10 seconds. Uncover, stir the whipped cream and continue to mix for another few seconds if needed. Make sure not to over-whip! 2. 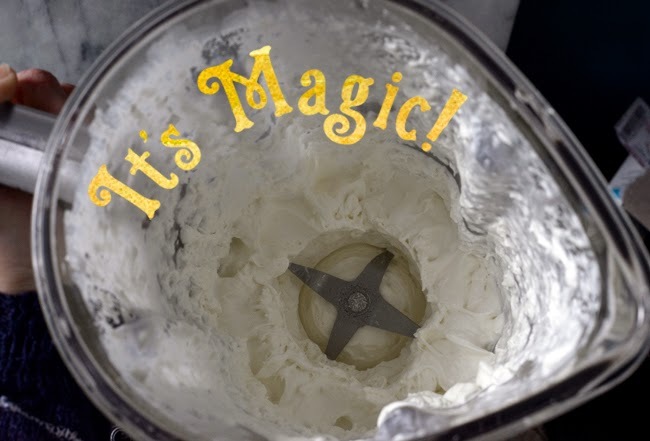 Carefully scoop whipped cream into a bowl. Cover and place in the refrigerator until time to serve shakes. Rinse out the blender. 3. 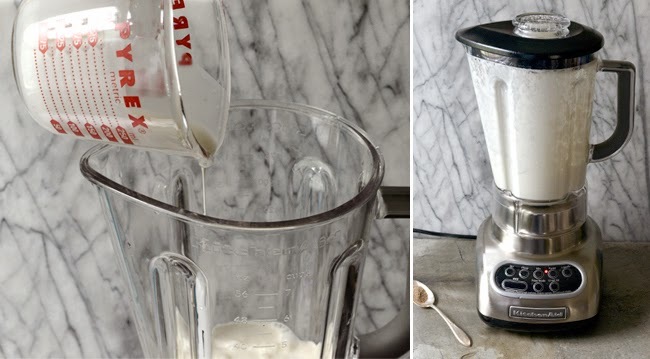 Combine the milk, banana's, ice cream and bourbon in the blender. Blend on high for about a minute, or until smooth. 4. 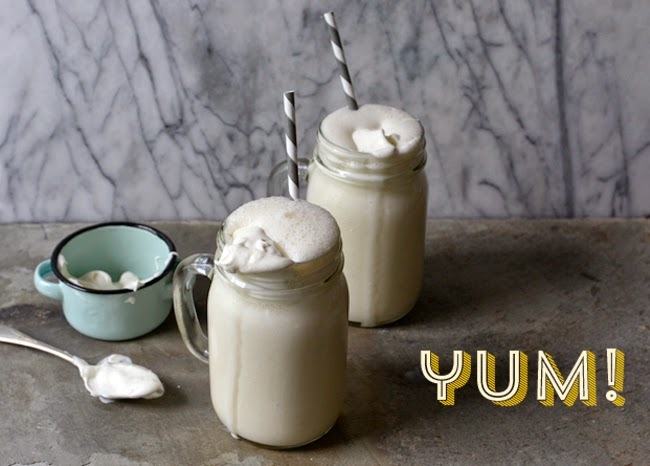 Pour into chilled tumblers, top with a large spoonful of whipped cream and enjoy! Instant whipped cream in the blender! Make sure the cream is very cold. Hmmmmm...Looks so refreshing. Perfect for the summer heat. I might just try that now. Oh.. really looks very beautiful and i like this. Whenever I see Banana shake or read about it the first word that come out of my mouth is WOW and I so do like to drink shakes and ice cream. Shakes are like heaven in the earth. For sure I am going to try it home.